Elderflowers are tiny 1/8” wide (or smaller) white & yellow blossoms that grow in tight clusters (sometimes with yet unopened green buds). The size of each cluster and amount of stem attached will vary. Raw elderflowers have a grassy, bitter flavor that is slightly floral with a slight zing. 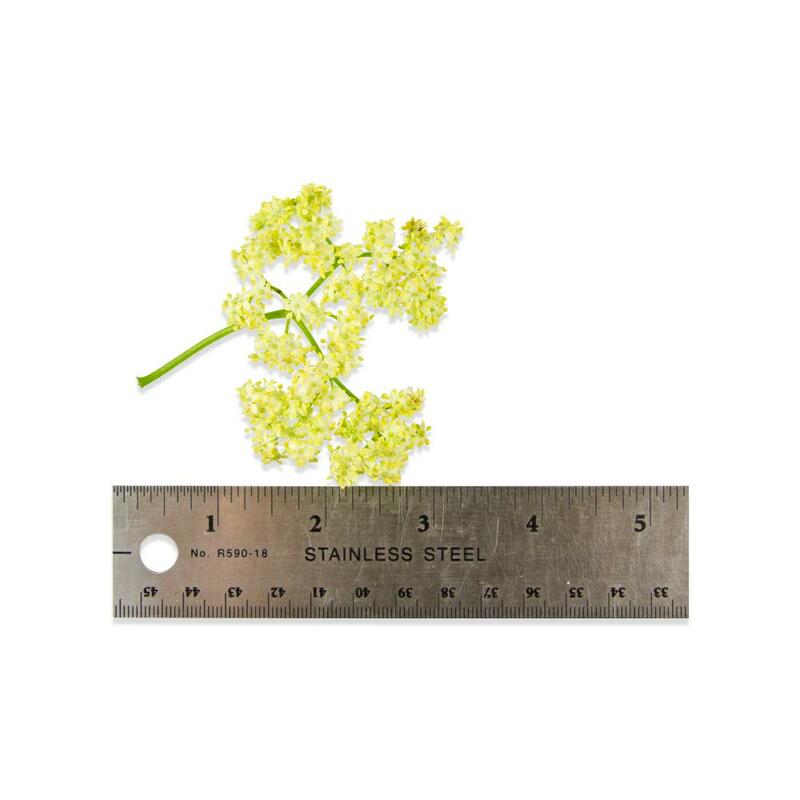 While individually their flavor is fairly mild, whole bunches are strong enough to overpower other elements of a dish and are thus best suited to purely decorative use or traditional elderflower cooked or infused applications. A 50-cluster order will range in weight from 1 to 2 ounces. 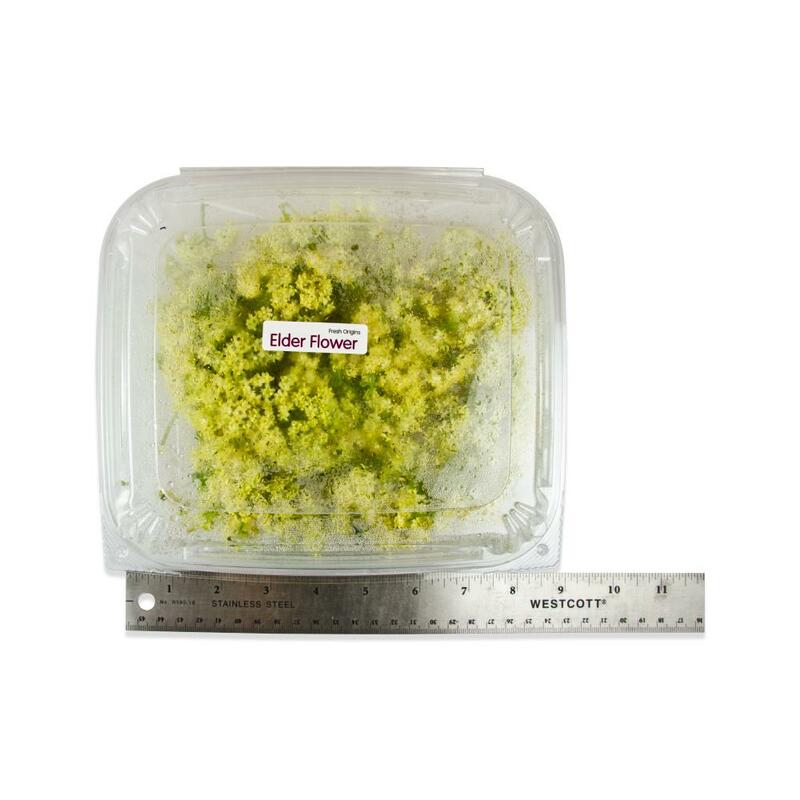 Store elderflowers in their plastic clamshell in the refrigerator. 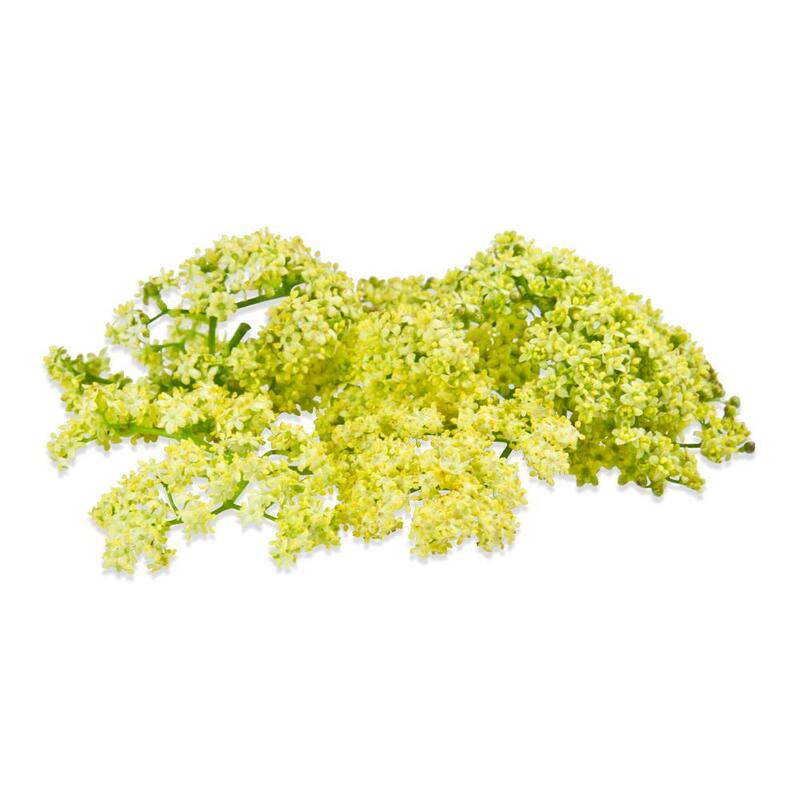 Elderflowers are a stunning garnish and decoration for plates, platters and buffet tables. Pair them with dishes & drinks made with elderflower syrup to connect flavor with presentation. Though a bit bitter to eat raw, in Europe, elderflowers are used as an ingredient - are dipped in batter and fried to make fritters or infused in liquids to make homemade elderflower syrup & beverages.